If you ever wonder how to change the product price while adding to cart.? First, why would you ever wanted to do that.? good question. You can charge some extra fee for gift wrapping the product or let your customer buy a bakery cake without eggs or sugar for extra fee. You will have look into the this article for how to add custom meta data in your woocommerce cart item. Ok lets start by adding gift wrap checkbox on your product page. The above code will add a check box field in your woocommerce product page, so that customer can choose whether they wanted this product as gift wrapped. The above code will store the ‘Gift Wrap’ option in the line item object for later use. This is the main part, the above code will add gift wrap fee if customer has chosen to. Above piece of code will add Gift wrap option in your cart table as well as your checkout order review table. Above code will add Gift wrap option with your order item meta. Refer the screen shot 3. In the above code for overriding price, which lines need to be edited? $additionalPrice = 100; // put proper price? “wccpf_your_field_name” for example: “wccpf_shirt_color” ? Will woocommerce dynamically update the price at the bottom, or only once added to cart? All three statements has to be updated, this will affect corresponding line item total thus affecting the grand total too. so coupons can’t remove the charge. The code to override and add an extra charge based on a checked option from WC Fields is not working. I also tried the code listed down below from July. I add the code at the very end of my functions file, upload, and the site no longer returns anything. It used to be working fine. I have updated everything – WP, WCC, etc. I have also updated that Price Overriding snippet recently, please go through that one more time. What do I need to modify in the snippet to work with my pulldown field where the first option adds $2? Sorry – I had this figured out like a year ago. I’ve changed “wccpf_your_field_name” to “wccpf_add_ticket” and what do I change “user entered value” to? No that part is fine, the main change is overriding the price part. you have to use as it is like the below (of course change the $additionalPrice as per your logic ). I’ve changed the “user entered value” to “Include” which is the name of my first option value. Still doesn’t seem to do anything. Hey, thanks. Got it working. The page was crashing from naming the function calculate_cart_total, for some reason. I renamed it calculate_cart_tot and it works. Cheers! Enjoying your plugin WC Fields. Is it possible to add the extra charges as a separate line item in the cart. Hi Sir; i have added the price snippet as listed in documentation, but cart is not updating the price of which i want it to do on artwork needed option only. I’m a little confused why the plugin wouldn’t handle the pricing itself with some of the code snippets provided. Fields types that don’t have multiple options could just have a text input to enter it in. If the system had the prices supplied like the above, could it not just update the total for us? The price for each option could be displayed beside each option. Hi, i want to add custom price based on user input, how can i do that? Now that the code working. How to do a foreach statement or bool? I.e. 6 checkbox options and each option is an added cost of say… $50. So if user picks 3 of the 6 then code will only add $150, I was thinking of changing the “your value” to “yes” and “no” instead of “red” or “blue” that way the code can be foreach “yes” add “50”…. Make sense??? Thank you for the great plugin! Could you give me the word of advise though? I want to implement JQuery price calculator on the product page using data from the WCCPF fileds for the product so it calculates the price on the product page and adds that price to the cart upon Add To Cart button click. I am sort of beginner, so would you advise how should I address those fields and their respective data in script? I would be happy to pay for your time to look at this modification if it is possible. I am looking to have one of my fields increase the price of the product. I have seen the tutorials and code here but I am struggling. I have variations products and using Field Factory to add product field. I have a field that is a check box with two options, but when I use the code it is not show or adding the $100 in cart. It shows the options that was selected but not the price. The code looks like it should be work but its not. a million thanks for ending week(s) of misery to find THE post that finally answer all my questions. You guys are awesome. I am building a woocommerce for blinds for windows and it takes to dynamically calculate the price with height x width. A blind doesn’t have a constant price per square meter so I can’t use the price measurement plugin. Indeed a blind 100×400 is not the same price as 400×100 since one would have a 4x width metalic bar to roll the fabric around it and this is very costy. so i added 2 input field (height and width) and thanks to your article I was able to catch the hook before the cart update and I was able to query my table (with PDO) to retrieve the price from my table rather than from the simple product price. however when I do a add to cart, the little cart on the left side bar is showing the price from the simple product price (I put a random figure to satisfy woocommerce otherwise if the price is left blank, it says the product is not available). So my question is how to intercept every and any instance of woocommerce “trying to get the price”. I litterally have to be everywhere in the code and each time I have to ask my table for the price. my first issue is on this little cart on the left side. I need to catch that hook. even a greater question: how to you learn about the exact sequence that woo goes through? I mean, if I could follow the logic with a step by step debug mode, I could see which function are called when and where and then override them with a hook filter. However I got lost in the woodocs page. I found so many function with “price” in it that I can’t get out of it. I suppose wc_price() seems THE ultimate price function or again woocommerce_cart_item_price sounds amazing….well it crashed. I am trying to create 3 license boxes with global prices. The radio buttons don’t toggle between each selection and I cant add prices in the plugin . Can you assist me please ? First of all, thank you for this plugin! It is great! I need to send custom fields data to a third party database when an order is complete. I have installed the Fields Factory plugin and used 3 fields in a Product Field Group which is visible on all the products page. I just want support(code snippet) to add 35 extra to price on the product page itself if checkbox is checked. Help me out with this. i am using wc field factory plugin it makes the text field on product page but their value is not showing on cart and checkout page. A really great plugin, thank you for it! Articles then again calls are all inputs empty. Are the data not stored in a session? I work with the latest WordPress / Woocommerce version. Hello, Saravana! Thank you for your efforts and your great plugin! I experienced difficulties with WooCommerce 3.0 as the code wasn’t working properly, but rolling back to 2.6.14 did the job well. I have a question tho – as the prices are not changed dynamically with ajax on selecting a certain addon, the mini cart prices are also not changing and showing the original prices instead of the price + addons. Have you thought about a workaround about the mini cart prices? Thanks very much once again! Hi, Thanks for this plugin. I am trying to follow the code in ‘Overriding price with WC Fields Factory Plugin’ above and everything is working if “Fields Cloning” is off, however, I am not able to make it to work if it is on, any help would be appreciated, thanks a lot. Great post! Slight question, how can I pass a price thats generated by a custom function to the calculate_gift_wrap_fee function? Would I have to save that into a session variable or could I call the calculate_gift_wrap_fee function instead of having to use the hook woocommerce_before_calculate_totals? I basically want a function that can add to cart, and change the price similar to your example. (I’m removing the add to cart button). Can any one help me that i want remove cart item with ajax actually i included cart page on product archive page woocommerce where ajax not working please help. 1- Update price dynamically based on the date/time selection, compare it with general wc price (that would be considered as hourly price) and update the price based on the date/time selection by the user. 2- Disable selected/reserved dates, i.e. if the product inventory is set to be 1 and one user rent the product for any date so it should be disable for booking/renting until the drop-off date is met. 3- Show only those dates for the user to pick which added by the admin while adding the product. i.e if admin has set 3rd march to 15th march, the user should be able to select the dates between 3rd march to 15th march only. Hi, as this is a vary narrow requirement, we cannot abstract it to make as a functionality for plugin. but this is doable by following the snippet given in the post. please drop us a mail that what are the method you have tried, and we will try to help you from there. Hi, No plugins yet, but we are building premium version of WC Fields Factory which has that option. I have posted about a week ago but still didn’t get it approved and answered. i hope you understand what im trying to do, if you need to see what im doing please contact me, this is really important to me. The problem still persists. I’ve managed to get around it by simply dividing the amount by 2. Its a hack but works for now. But the weirdest thing is that after the make payment function – the amount (divided by two) is added once again which is a bit of a problem this time. Any ideas on a workaround? Hi Sarvana, Thanks for this informative article, however my problem is bit different I am doing some custom calculation in my product page and then using WC Factory field plugin input field to store that total in product page which will be my final total in cart page, so I want to know how can i send that total to my final cart page. As in your article you are adding manual amount as ” $additionalPrice = 100;” but i want to get that from my product page total field. Hello. And thanks for the script. any Idea how to fix this (I’ve tried many things but it still calculates it wrong). thanks for great plugin and this tutorial! the only option that I miss is easy adding price when someone check checkbox, radio button or select option. You can implement adding price option to in plugin field “options, Enter each options on a new line like this eg. red|Red”? if you use options red|Red|20 , price will go up by 20 if someone check this option. same if multiple options are checked original price+20+10 etc. thanks, I am working on premium version, which will include that option as well, but any way you can do it yourself also, please refer the following article for that. how is this actually working with a variation product? Thanks for this great article. However, my requirement is little different. Using your other beautiful article ‘Adding custom fields to product’ , I have managed to add custom fields into single product this way. On submitting a form, it will redirect me to a single product page where all the custom fields will be pre-populated with form POST data. In this form I also have custom price. Now I want to replace the price of the product with this custom price. Is it possible by any means? Please help. Sorry for the late reply, Yes you can do that. and it’s very simple too. calculate_gift_wrap_fee() function execute twice, as it add the price 2 times. what to do? Great code! It helped me out a lot. The only issue I have now is that the Totalprice is updated with 100, but the Price is still the price without fee. How can I have them both updated with the fee? Hi, if I wanted the custom field to show on the product category catalogue page,how would I go about doing this? I have faced same issue like price is added twice after proced payment while customer create his account during checkout. Can you please look into this issue. It will be very helpful for us. Hi I have update the calculate_gift_wrap_fee() function, which will fix the issue. I have also answered in StackOverflow, someone asked the same question. I considered this plugin ” for the name alone” but when I drilled deeper I saw most of the “features” are scripts you need to insert into your functions.php file. Why do I need a plugin at all if I have to insert code? That’s why I wanted a plugin, so I didn’t have to insert code, so I didn’t have to make & maintain a child theme. Hi Craig, this article is not about any plugin, it’s about changing cart item price dynamically without using any plugins. by the way which plugin you mean.? WC Fields Factory.? I have updated my article itself ( which I was planning for very long time ), now no $_SESSION required. I have used $cart_item_data instead. this one is used for carrying additional data for each cart line items. So please go through the article again ( especially the code parts ), you will get a clear idea, and I am pretty sure you won’t face any issue anymore. Hi Saravana, I seen that, when the user has added his product in the cart and when he is not already registered to the store, the Gift price is added twice. 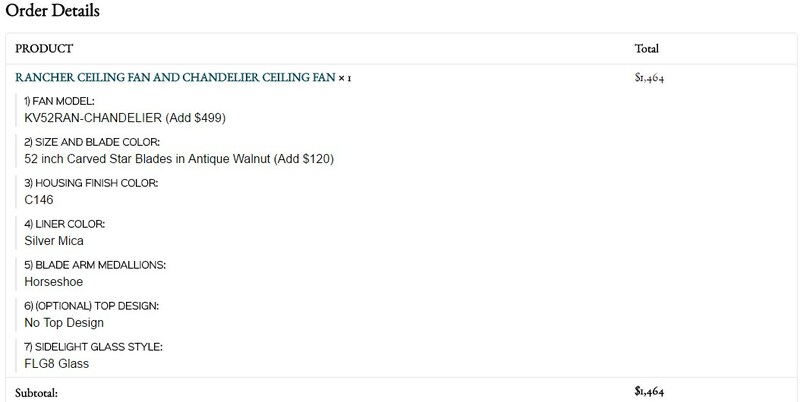 example, add a product in the cart, and goes to procede to the order, then fill your name, adress….and pay, then I can see that the price gift is added agian… Did you alerady seen that? Thanks for your answers. but it gives me nothing can you help me to figure this out.Thanks! I guess you used WC Fields Factory to add custom fields, in that case the above snippet will work. Hello, many thanks for sharing your code. It works fine for me after made a small correction. There is a calculation error in the cart with the code. Otherwise the quantity is multiply in price AND in the total price. Hi thanks for pointing out, it’s been updated. I’m having an issue where if I offer a subscription product that gets charged on either a monthly or yearly subscription with a savings on prepaying for the year, that is the price that shows for the product up top. I just want it to show the monthly price up top. How can I achieve this? Is this what you’re going to offer with your plugin? Thanks for sharing awesome code. But i want to know is it possible after rendering custom fields with Cart data, could user edit his/her cart for custom fields. It seems there is no way to do this. If it possible it would be great. This is the feature which I am still working on, probably available with my feature releases ( I mean WC Fields Factory ). Its an awesome plugin , thanks a lot for publishing it for free 🙂 . I could add custom text field on to product page , I have a requirement where in as soon as user enters value in the custom text filed the order price should get multiplied by the number in custom field dynamically , how can I achieve this . How i will add “Gift wrap:Yes” text in checkout page under product name. Hi use this filter to woocommerce_checkout_cart_item_quantity to add your custom text under product name in checkout review order table. for more info refer /wp-content/themes/your-theme/woocommerce/checkout/review-order.php template. How i will add “Gift wrap:Yes” in checkout page under product name. Here are some photos to illustrate my problem. Excellent set of articles sir! Could you write an addition to customize the appearance of order meta on the backend (when viewing an order as an admin)? Current, simple data is stored as plain key/value but arrays do not appear, and I personally do not like to show the raw meta key (“_vv_adjusted_price” should be “Adjusted Price”). It tried using the hook “woocommerce_order_meta_end”, but this appears to only be useful for email and for the customer’s view of the order screen (on the front end). Hi, that’s simple, Change your key. Could be, may be you can increase the priority values for woocommerce_before_calculate_totals action hook, so that it will be called at a last one ( after all other handlers are executed ). I am using your above code, it is working fine in cart page but in checkout page it is not working. can you please inform me why it is happening. Hi, not working means, calculation error.? ( or ) it’s not displaying correctly in check page alone.? But there is one issue. Like say the the unit price is now 89.90. But if I go to cart page, the unit price shows as 899.00. However the sub-total is fine which is 89.90. Looks like the function gets triggered twice ? Do you mind to explain please how can I avoid this from happening? Thanks for your great plugin , but I am totally new here . How can custom input price be added to the cart and add a fix fee to the cart before Check out ? Hi you could use `woocommerce_before_calculate_totals` hook for this purpose, you might find this article useful. Hello, for me everything works like a charm. But how pass this data to order so I can see it in admin order details? For example I ordered 2 same products, one is a gift and second is not and I want to know which one is gift? In admin panel in orders I see only that 2 products were ordered. Hi, you could use woocommerce_add_order_item_meta hook for this purpose. for example do some thing like this. Thank you so much for the article. It works fine. Just one answer I need. I need to use this for only 3 items. How can I filter products? Which function do I need to change? Hi, that could be done, for example if you wanted to updated price only for products that belongs to certain category, do some thing like this below. The code for applying cost to the cart based on a WC Fields Factory field needs adjustment. The “$orgPrice = intval…” line should be floatval. Using intval will throw away $0.50 on a $9.50 product. I use WC Fields Factory Plugin with bookable product, when I add to card product have error “Notice: Undefined index: wccpf_polee in plugins/wc-fields-factory/classes/product-form.php on line 252”. Is it possible integrate? I have changed the $additionalPrice value and if( $field[“name”] == “your field” ) to if( $field[“name”] == “new_logo_upload” ) as seen in the Edit WC Product Field Group page in WP. This field is a radio button with yes and no choices. But when I select yes and add the product to the cart, the additional price is not added. Can you see if I have missed something! Hi,everything works well but page checkout(page with select payment) , forms with cart and select payment is disabled. not working, the variable is always empty…. Latest version of WC Fields Factory has been slightly modified, I will update the article. i want to specific user can purchase any five product free every month. i work hard but still unable..
Hi, you can achieve this by using User Meta combined with the code provided in this post. I tried the above code . i don’t want any gift packing type checkbox, but want to add some extra fee. And i was able to do that and changed price was coming on cart page. but when i go to checkout page for some time it display the same price but after some time waiting spinning comes and it change the price. and display the original price ( no updated price). i am stuck here. tired some more method but no success. Please help me it’s really urgent.Thanks in advance. Not sure what that issue would be, might a side effect from one of the plugin or misusing of hook might caused this. If you still has this issue send me your functions.php alone, so that I can check. What would I do if I want the product to be inserted twice. So I want a product WITH the gift wrap, and a product WITHOUT the gift wrap. But at the moment is just updates the cart (so instead of 2 single products, I get 1 product with an amount of 2). Awesome! It works. Only thing that might be a bug, don’t know. Say the normal price is 30. With gift wrap selected it becomes 130. If I add 2 product to the cart, the total amount get multiplied twice. I has to become 260, but it’s 520 now. Looks like the multiplier is fires twice. BUT, one last thing that I don’t get. My product is 30. The gift wrap is 100. When selected and added to the cart, it indeed says 130. But when I continue to checkout, the form updates the total to 230, why’s that? I can pass a link if you want. Would like to ask you, if is there any way to change the title of the product too? For example, Fossil Grant Wrapped etc.? It would be extremely useful to have the Name/Title of the product and order to change too, based on the name of the file. Would it be possible using the same strategy you used? Does it need different hooks? I tried to use the below function, but its not working for me. The “woocommerce_before_add_to_cart_button'” hook is not working. I am using WordPress 4.1 and Woocommerce 2.3.5 What would be the reason? Please suggest me. The same code you have mentioned above..
Hi Vimal, Your WP & Woo versions are supported, what theme you are using.? does your theme supports woocommerce_before_add_to_cart_button hook.? Could you give an example of using a select dropdown of the above code. Could you give an example of how the price calculation works then and the validation? That can be achieved through woocommerce variable product. If you still wanted to do it manually do some thing like this. I tried to use dropdown using your code, but it didn’t work. Could it be because of woocommerce updates? Or what is it? Hi, i try your method already, but i have problem with price validation.